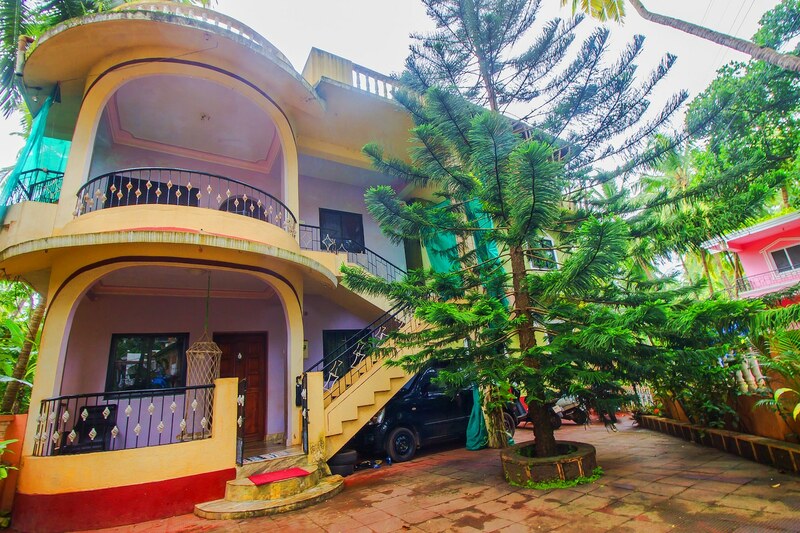 OYO Home 16770 is a classy yet budget friendly property with spacious room, located in Morjim, Goa. It is between Morjai temple and Siolim Fish market, and close to Morjim Khind Park, Madla Wada Football Ground and St. Francis Xavier Chapel. The property is colourful on the outside and surrounded by beautiful greenery. It has a spacious room that has been partitioned into a bedroom and a common area comprising of a kitchen, living and dining space. The bedroom features a balcony and has glass doors that open up to a large terrace. The room in this property comes with TV, AC, mini fridge and there is a bath tub in the cosy bathroom. CCTV cameras are installed in the property for security. Nearby food joints include Sublime, Amancio Classic Bar And Family Restaurant, Monkey Business Bar & Grill and Navtara Veg Restaurant.